the classroom. 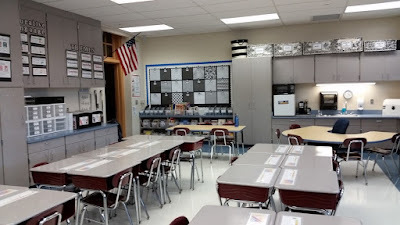 And, I was even more excited to return to teaching fourth grade. With the New Year, I am reflecting on the first half of the school year. So much has happened! I'm totally in awe of the remarkable students with whom I spend each day. This inquisitive, thoughtful, delightful group approaches each day with eagerness and willingness. They exceed my expectations in every way. One of the reasons for this first half of the year success is the environment of our room. Each day is based on rituals, routines and simple rules. We spent time during the first few weeks establishing a culture of kindness. We have three rules: be kind, don't interrupt the learning of others and tone of voice. These three cover almost any situation that arises. reminders to change your words, change your mindset. I read Carol Dweck's book, Growth Mindset and it had a significant impact on both my teaching and life. I spent the summer reading and creating ways to help students develop this approach to learning. 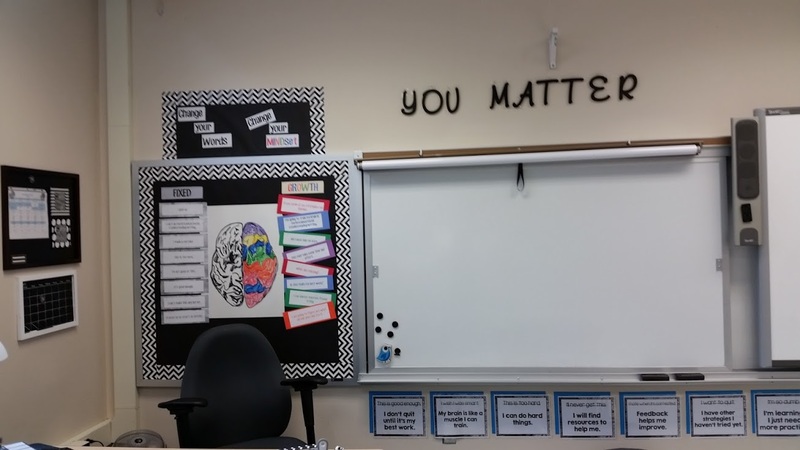 At parent-teacher conferences in November many parents shared with me the results they observed at home and it is contagious among the parents as well. and set up the room that was aware of the traffic of everyone. (The only thing missing is a rug -- I'm saving up for it.) We keep the room so clean, that students don't seem to mind sitting on the floor. 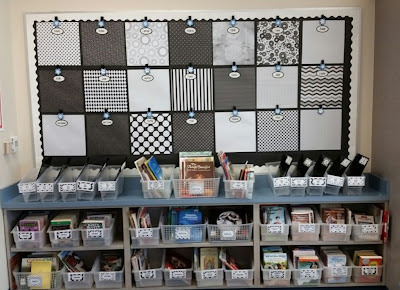 Students know how to line-up, move to retrieve items or supplies, visit their mailboxes, procedures for drinks, restrooms, lockers, turning in work, etc. It runs like clockwork!Visitors to our classroom are considerably impressed by the students' desks. Each desk is organized and set up the same way. 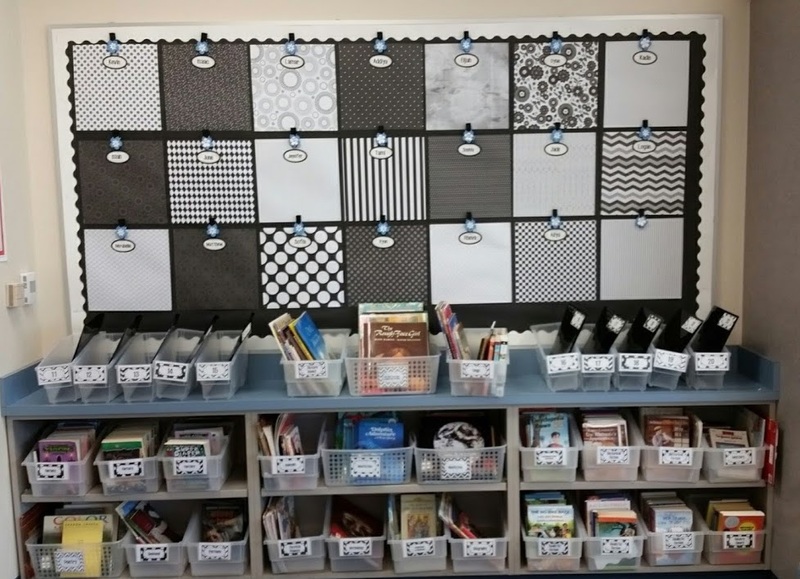 This is accomplished by providing one small pencil box, colored folders for each subject and the all important WIP folder (Work In Progress where they keep items that need fixing or finishing). All other supplies are kept in supply drawers, so there is no clutter or mess. this may sound regimented, it isn’t! The students easily follow the procedures and rituals because it was practiced and consistent. 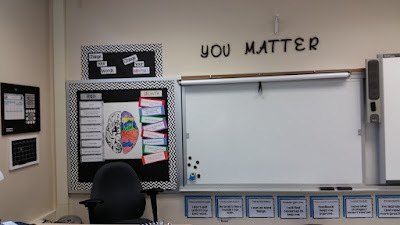 The time we spent on this in the beginning of the year paid off in a calm classroom. Students know that at any moment during the day, I may say, "Desk check!" They quickly organize and straighten. There's no reward; just a feeling of accomplishment. place where learning happens not only calmly, but joyfully. We laugh a lot and celebrate each moment of learning. We take care of our space and each other.